This is an ale brewed by Bacchus Brewing in Queensland, Australia. 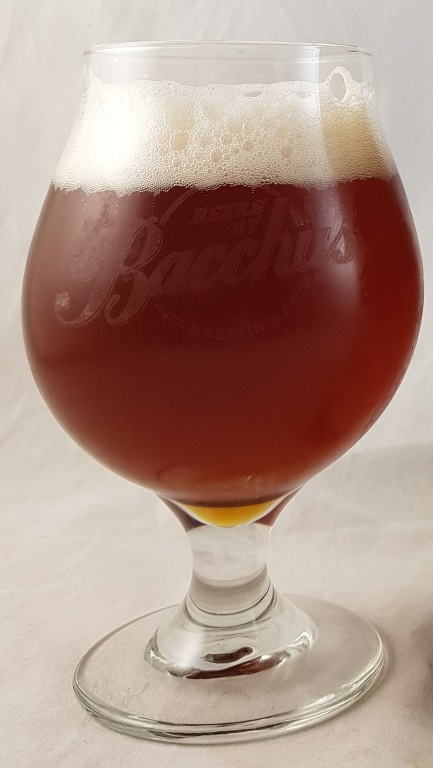 This is not an official beer by Bacchus but one I made up by mixing Beernoffee with Strawberry Thickshake and the result is an interesting blend. Sweet in the extreme, there’s banana, strawberry, vanilla and caramel, and no hint of bitterness. It’s smooth as a laxative too. Very good!